Take 2/3 cup of quinoa and rinse well in a mesh strainer to remove the natural coating. Bring 1 and 1/3 cups water to boil in a lidded pan, and add a pinch of salt. Add quinoa, lower temperature to medium-low and cook, covered, for 12 minutes. Remove from heat and place paper towel between the pot and the lid, and allow to sit for five minutes before using, to allow quinoa to plump. 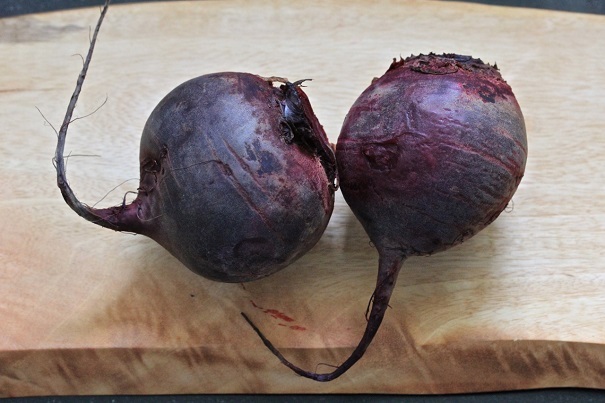 To roast beets: Roast one medium-sized beet, chopped, in 375 degree oven for 20 minutes. 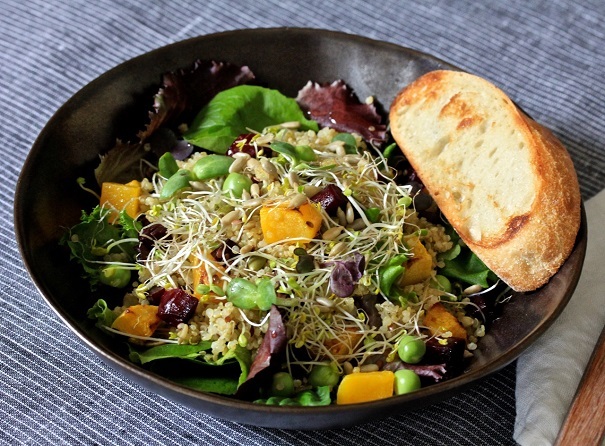 Mix ingredients together and drizzle lightly with a simple vinaigrette dressing before serving. You will want to use less salad dressing than you normally would; there is so much flavor and texture in the salad that it just needs enough dressing to bind the ingredients together a bit.